"What this old world needs is more bouquets handed around to folks when they are alive and kicking. Flowers don't do a dead one much good." You may have noticed I was quite quiet the first week of February. Ogre and I were celebrating my birthday in Pigeon Forge, Tennessee. After splurging on vacation, I wasn't expecting much for Valentine's Day. But he surprised me with a Kit Kat heart box and a beautiful bouquet of spring flowers. My favorites were the pale purple dahlias. What a pretty flower. I love the color! Oh, my! How pretty! My husband got me red roses, which I love! Hope you had a happy Valentine's Day! aww such a sweet gift! I always wanted to plant dahlias, but the rabbits and other little creatures of the night just love to eat them. beautiful! The bouquet must have been lovely! Happy Birthday and Valentines, what a wonderful surprise, they are beautiful and one of my favorite colors. What a beautiful bouquet! I love dahlias too. Enjoy your Wednesday! Beautiful flower! I've never actually had a dahlia in a floral arrangement. 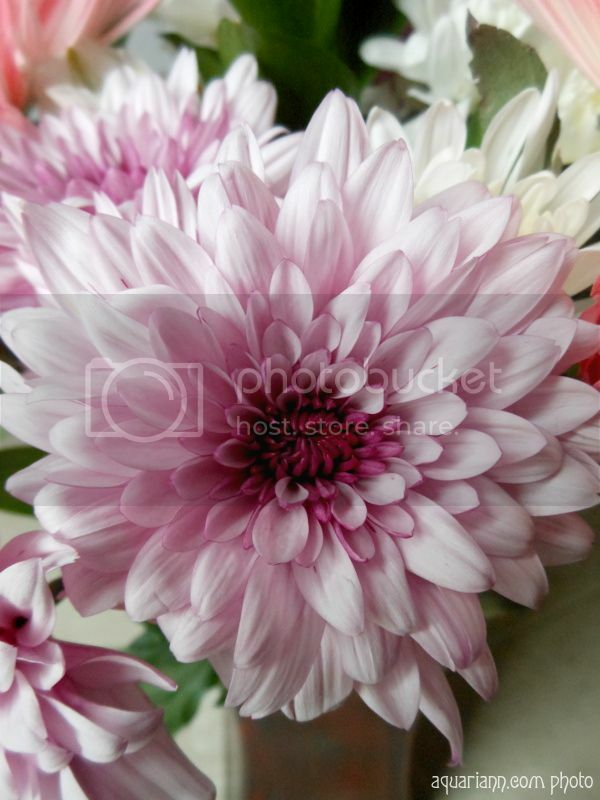 Dahlias...perfect for a day of love...and purplish, too..my fave! Amazing shoot with beautiful details. Good husband. I love the dahlias!